Development Team Assistant Knobby here! Do you know what you do before you leave the house? That’s right, turn the knob! Was my last talk on Leader Abilities helpful? Well this time we’re gonna talk about Minion Passive Abilities!! 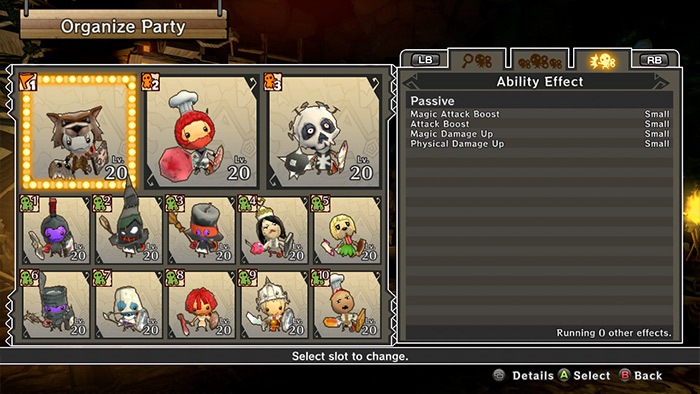 The Minions that you add to your party using the Organize Party tab in the Minion Lab have something other than just Leader Abilities: they also have Passive Abilities! Passive Abilities have an effect on your character’s parameters, can increase your damage output and can give you advantages against enemies of specific types. I bet you want an example now, don’t’cha? Well then take a look at the Passive Ability “Strong Ties.” This ability powers up your character’s Attack Power, meaning it’s perfect for all of you mighty Warriors out there. What, another example? Fine, fine, here ya go: the Passive Ability “Magical Bond” gives you a nice little boost to your Magic Attack. 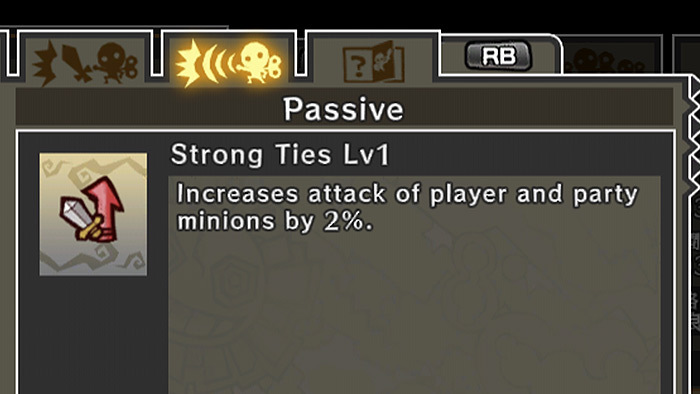 Something else to keep in mind, if you can get a few Minions with “Strong Ties,” your Attack Power will go up even more! Passive Abilities are also pretty random I should add. Two of the same Minion can have completely different Passive Abilities! The Passive Abilities I’ve talked about here aren’t the only abilities Minions can use to help you in battle. So, go and take another look at your Minions and see if your opinion on any of’em changed! As your level increases, so does the number of Minions you can take along with ya. Talk about a big power-up! That feeling you get as you smack baddies for more and more and more damage is just the best, isn’t it?! 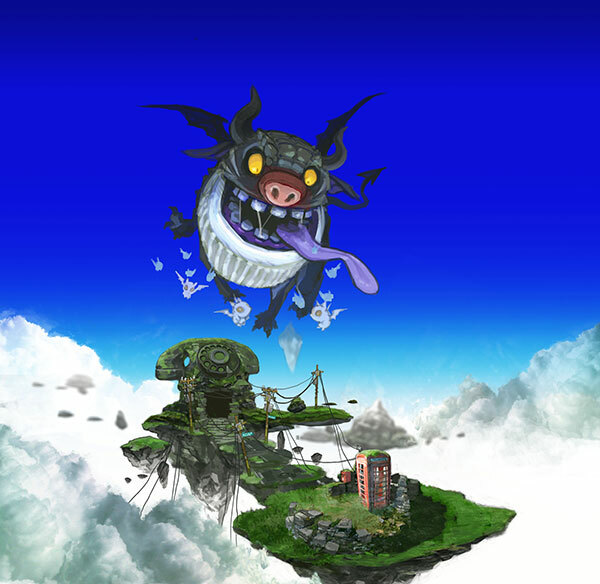 (The Happy Dungeons Development Team believes that all living beings deserve to be treated kindly). Argh, now I want my own Minions!! They’re just so dag-nab cute!! Well, that’s about it for today. Keep your eyes peeled for your best pal Knobby (that’s me) with more recommended skills and abilities. 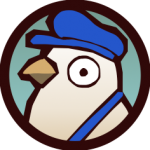 Oh, and if you have any questions then feel free to send’em right here so Sir Pidgeand can take a look! Nice ta meet’cha, the name’s Knobby! I’m an assistant to the Development Team here. 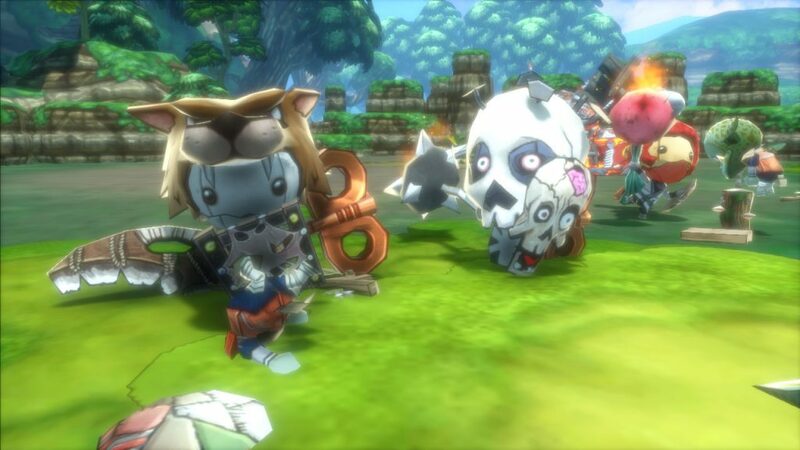 This time around, I’m gonna talk about the Mascots of Happy Dungeons, the ever-lovable and infinitely crunchable Minions! What’s that? “I don’t need no stinkin’ help, I can handle everything all by myself!” you say? Well, if you wanna kick even more baddie-behind, then let me tell you how to beat the crud out of anyone you meet! 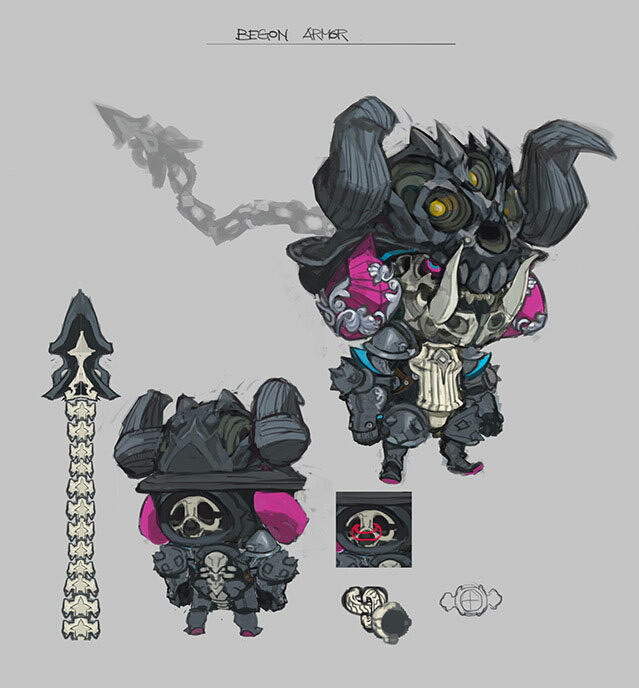 (*Please note, the Happy Dungeons Development Team does not condone physical violence). Check it out. 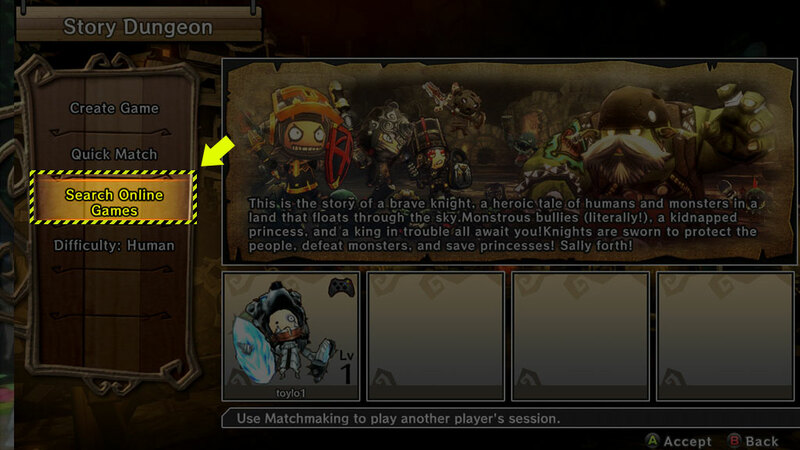 See, Minions have these set skills called Leader Abilities. If you wanna use a particular Leader Ability, make sure the Minion with that Leader Ability is set to the first slot in Organize Party in the Minion Lab. Now, let’s say you put Jan or Peel Skinner in your party’s first slot, and you take damage from an enemy. 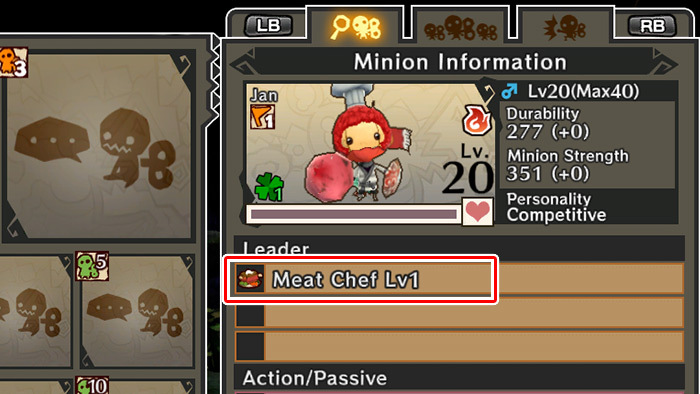 If you’re lucky, your Meat Chef Minion will make you a nice hotdog and drop it on the ground for you to enjoy and heal yourself with. Just now, did I hear you say “hmph. I guess I could use a useful little Minion like that”? 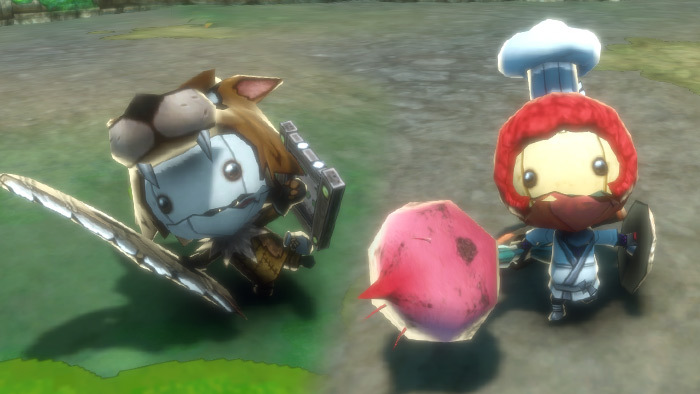 Also, keep in mind that you can even get these Minions when doing the missions on Human difficulty! Not every Minion has the same Leader Ability, either. 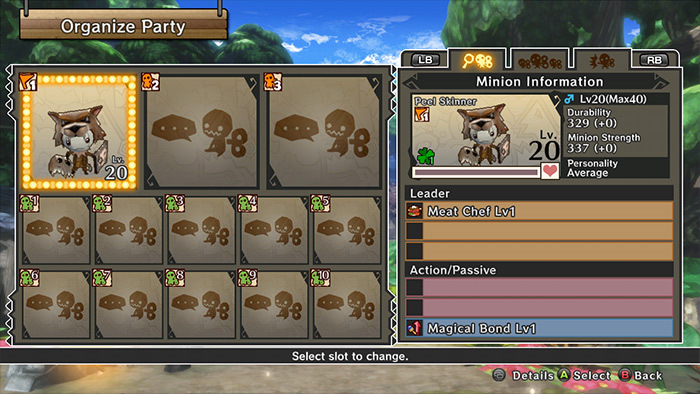 Whenever you get a new Minion, check their abilities, and pick the ones that suit your tastes to create your very own Minion Party! … That was a joke. if you don’t wear strong items it’s game over. Don’t forget to level up your weapons. Between the armor and the helmet, I would advise to level up the armor first. It makes your defense raise a lot! Items with elements have a high impact on the battlefield. Elements have an indicator called “Element Level”, the higher it is the more damage it does/prevents. 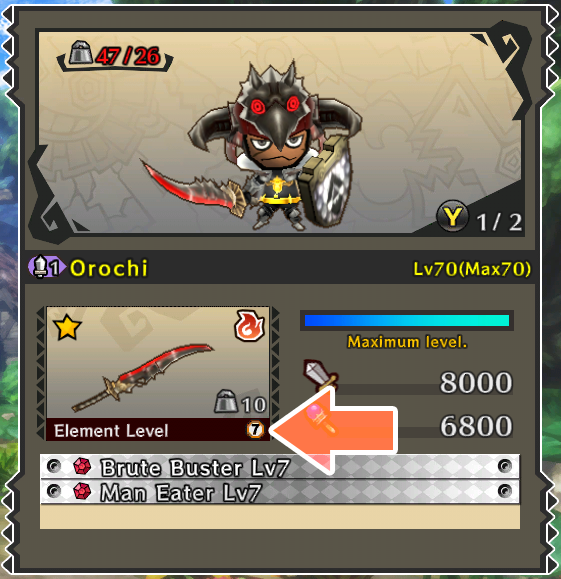 You can check it from the equipment screen, so let’s try to equip items with a high Element Level. More than attacking, first let’s concentrate on not getting hit. That way, you can get a lot of rage. When the warrior is in rage, they get incredibly powerful. You can make enemies fly away with “Uppercut” and “Bash”, hitting other enemies, which will give you more rage. 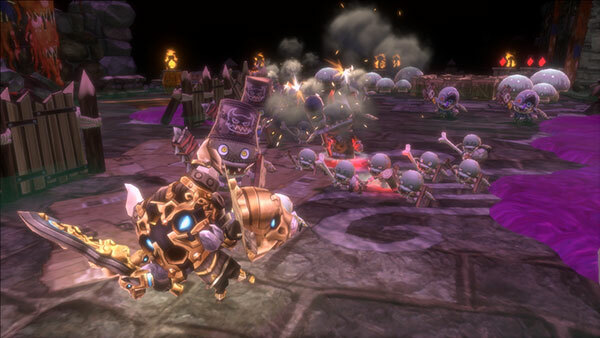 With Super Guard you can defend your allies from enemies that throw projectiles. This is very important in multiplayer. The team skill “Cheer” is very powerful even if you use it by yourself. If you play solo it’s still very useful, try to remember that. It is especially effective before throwing a spear to a boss. As a healer, it is very important that you don’t die. Therefore, you should remember to cast “Sacred Armor” on yourself often. Sanctuary is a good skill to use before changing areas. Let’s try to heal the allies to reduce the number of Healing Potions used. The skill “Surprise Slam” can be used in solo play, but it is most effective when an ally can take advantage of the stunned enemies. The skill “Exorcism” makes great damage to undead foes. It is very useful in stages full of zombies, try it out. The backbone of the mage attacks are the RT shots. Depending on the element the shot will change, so play around will all of them. Ice and lightning shots are great to stop enemies. I would advise to have your weapon enchanted with one of those elements. The cooldown of the normal X attacks is very long, but remember that you can cancel it with an RT shot or an LT roll. The damage caused by “Ice Javelins” and other spears with elements depends on your attack and magic attack. A mage can also do a lot of damage with them. 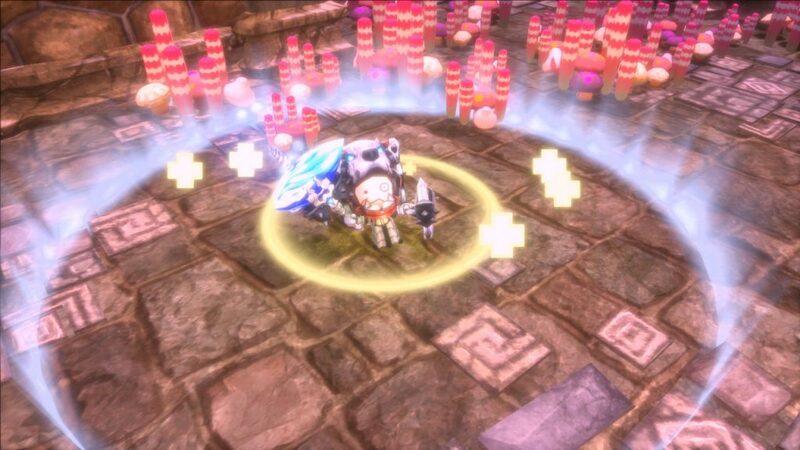 The team skill “Lightning Arrows” is very effective against large enemies. If you have any other doubts, please ask our Pidgeand. I’ll leave here for today.